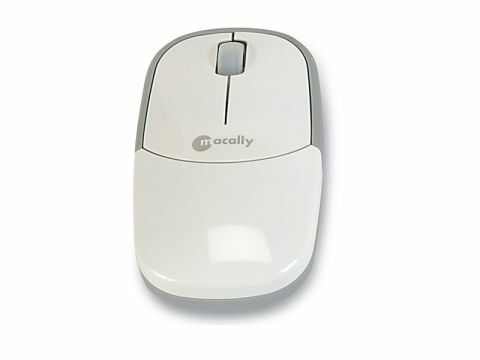 Macally's latest rodent, the mGlide, is beautifully styled in brilliant white. It's ultra-slim so ideal for travellers, and its miniature wireless dongle fits inside the mouse when not in use, so you're less likely to lose it in your bag. Inserting the dongle into this housing also switches off the mouse to save battery life. As well as being responsive, the mGlide is comfortable. It might take a little getting used to due to its low-profile form factor, but after an hour or two you wouldn't want it any other way.